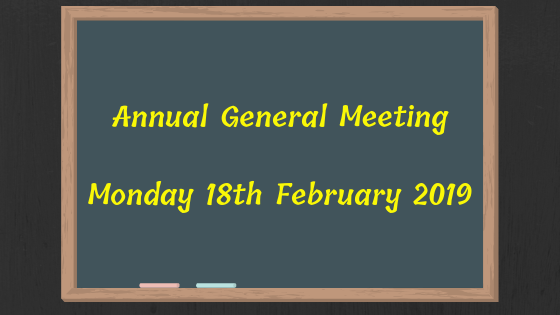 We invite parents and caregivers to our Annual General Meeting (AGM) on Monday 18th February in the Library, commencing at 6:30pm and concluding at 8.00pm. Prior to the meeting there will light refreshments and nibbles available from 6:00pm. Crèche facilities will be available. The AGM is a great opportunity to celebrate and share in our school’s achievements and highlights of 2018 and your chance to talk to staff and current Governing Council members. Our special guest speaker to start this year’s AGM is our school’s new senior leader, Nicky Taylor, who will share her knowledge, skills and experiences in promoting student voice in learning. After Nicky’s presentation the formal part of the meeting will commence, with the presentation of reports from the various council subcommittees, along with reports from the Governing Council Chairperson and Principal. Following these reports, nominations will be called for four vacancies, where members of the school community will be elected to the Governing Council for a 2 year period. At this time, we will also be inviting parents / caregivers to join any one of our sub-committees, which are formed annually, offering opportunities for parents / caregivers to make a difference to the school and enable us to further build and maintain a strong community culture. Sub-committees for 2019 are: Finance Advisory Committee, Sport, Environment, Canteen, Out of School Hours Care, Parent and Community Support (incorporates Fundraising). Parents / caregivers interested in nominating for the Governing Council and / or any of the Sub-Committees are asked to submit their nomination via this link or by completing a parent / caregiver nomination form (see document below) and returning it to the front office (forms are available upon request from the office). Nominations are due by Friday 15 th February. Copies of the AGM report will be available at the meeting and thereafter, can be accessed on the Craigburn Connections news blog / school website or at the front office. The Governing Council is an important group of people who take on the role of working together cooperatively with the principal to share responsibility for school governance. Members are responsive to issues that arise and their role is to determine the views of our local community with regards to the broad directions of the school and to support the best learning outcomes possible for the children at Craigburn. We are guided by a constitution in regard to the protocols we follow. Meetings are held twice per term on Monday evenings for around 90 minutes. Positions on the Governing Council are nominally for a term of 2 years. Generally, half of the positions become vacant each year, so that there is continuity. Currently there are 4 vacancies. Council Members are expected to join at least one sub-committee. They are not required to be the Convenor or Chairperson of that committee, but are required to represent that sub-committee and report at Governing Council meetings. We invite you to consider being part of a friendly and supportive team of parents / caregivers and for you to have a closer look at how the school operates and to support the directions we take.